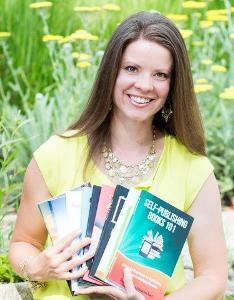 COLORADO SPRINGS, Colo., July 16, 2015 /Christian Newswire/ -- Award-winning author and publisher, Shelley Hitz, best known for teaching thousands how to turn personal triumphs into best-selling books, will keynote at InScribe's Christian Writers' Fellowship Fall Conference scheduled for September 28 – 30, 2017, in Edmonton, AB, Canada. The conference is a 2-day event where writers from around the world gather for inspiration, motivation and learn more about their craft. "I am thrilled that Shelley Hitz will be our keynote speaker," said Ruth L. Snyder, InScribe's president. "Our members will benefit greatly from her broad scope of experience and expertise as a Christian writer, entrepreneur, and coach." Hitz, who founded Author Audience Academy and wrote more than 35 nonfiction books, is scheduled to make three keynote presentations. And, although the event is still two years away, she feels a sense of urgency. "The world is hungry for words of hope and inspiration, now," Hitz said. "I'm on a mission to help pastors, ministry leaders and Christ-centered entrepreneurs reach more people with their message." Author Audience Academy (www.authoraudienceacademy.com), is a Colorado Springs-based company that helps pastors, ministry leaders, and Christian entrepreneurs get published and share their message through online marketing. For further details, visit www.Inscribe.org or go to www.ShelleyHitz.com.